A quick search on Twitter reveals that many people are asking, “What the heck is Periscope?” I am going to try to break down the platform for you on a very basic 101 level. I often see a trend of resistance when a new platform becomes popular. I urge you to give Periscope a try; I think it’s amazing. I want you to think of Periscope as your own live TV station. In more technical terms, Periscope is a live video streaming platform, and I think it is the missing link of social media that many marketers have been waiting for. Periscope (owned by Twitter) is a platform that allows you to video-record and broadcast to anywhere in the entire world. If you have ever been on Skype, it is a similar experience but, instead of video conferencing with one person, you can stream to the masses. 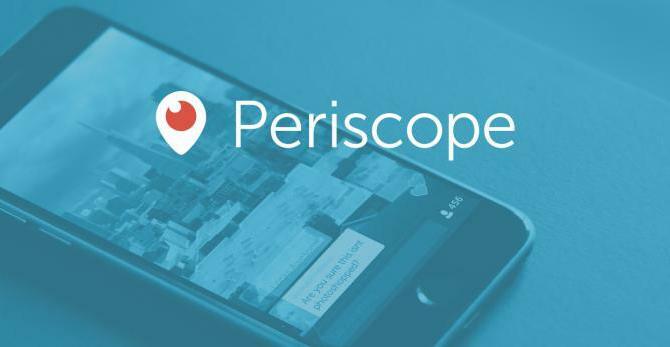 One million users joined Periscope in its first ten days. From my observations, Periscope is a completely mixed bag of ages, genders and personalities. In my professional marketing opinion, I feel that this is a platform that will transcend a wide variety of audiences. I can’t wait till Periscope reveals more usage statistics! What is the Periscope lingo? So, just like any other social media platform, Periscope has its own language, and my advice is don’t be intimidated. It is just the same as liking and following on Facebook or retweeting and mentioning on Twitter. Scope – Each time you live-broadcast a session, you are creating a scope. Think of a scope as an individual broadcast session. Hearts – One way Scopers show their love is by tapping on the screen and giving a broadcaster hearts. Periscope will tally up the amount of hearts each user has, and the color of the hearts will correspond with the color assigned to your account. Replay – Currently, Periscope gives the option for Scopers to have their broadcast recorded so other scopes can replay the broadcast. Follow – Scopers follow each other. It is no different than liking a page on Facebook, connecting with a user’s profile on LinkedIn, or following a user on Twitter. You can sign up with Periscope in two ways. First, you can use Periscope in conjunction with your Twitter account, and second, you can even create a Periscope account by using your cell phone number. Personally, if you have a Twitter profile, I would for sure use Periscope in conjunction with your account. Each time you scope, you will have the option to push a notification to Twitter in an effort to gain a larger audience. I think as the platform grows and improves that you will be able to follow Periscope users Twitter profile from the Periscope platform. Anything and everything. I documented one night of periscope adventures in another blog post, but to give you an idea, I am going to open Periscope right now and list out a bunch of titles of broadcasts. I will include the good, the bad, and the ugly to give you an accurate representation of the platform. If you’re hesitant to start using Periscope, don’t be nervous! The majority of Periscope users are newbies, too, and I promise you that, with practice, your scopes will become better and more natural. If you are struggling for the subject content, simply announce that it is your first scope and be honest. Each and every person on Periscope has been in your situation. Why am I so passionate about Periscope? Time to geek out for a minute… I am obsessed with this platform. I have made a career in social media since businesses first joined Facebook. I was one of the first social media managers managing accounts such as Pep Boys, QVC, Party City, Lane Bryant and many more. I have not been this excited about a “social media” platform in a very long time. The business applications of this platform are insane. The power of transparent technology will be the next evolution of determining whether a business can be successful or not. Periscope can be used by any brand in new and extremely creative ways. Live streaming technology is the new frontier, folks! Even more exciting, it reminds me of the early days of Facebook before the platform monetized and placed their focus on making money. Despite celebrities, users have a clean slate to step out really and be popular. Megan Pruitt is passionate about helping other social media managers stay ahead of current trends in new and emerging media. Having started four different agencies social media department and having managed the social media presences for brands like; Pep Boys, QVC, Party City, Lane Bryant, Firehouse Subs and many more, she is well equipped to tackle business strategy topics for social media professionals.